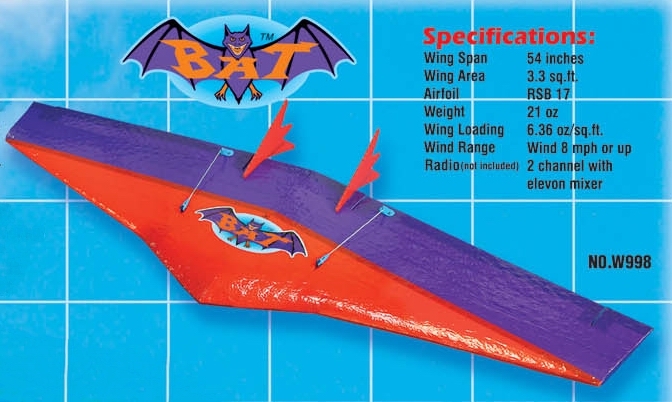 Bat 54 inch EPP Flying Wing, this wings is not for beginner! Good for DS and man on man race. This is a good choice if you like speed! 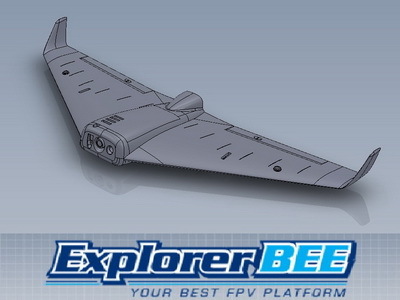 Ready to ship of Windrider new FPV Wings Explorer Bee Advanced Kits. 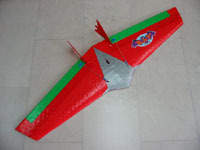 1.02 meter wingspan EPO foam. 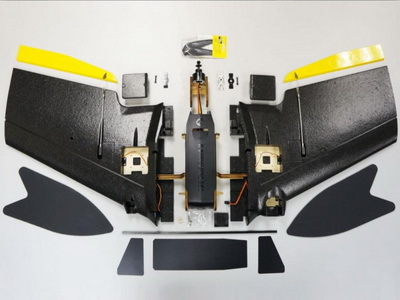 This kits included power system 1300kv motor, 30A ESC, full set motor mount, 2 pcs of servos, 8 and 9 inch propeller and push rod. 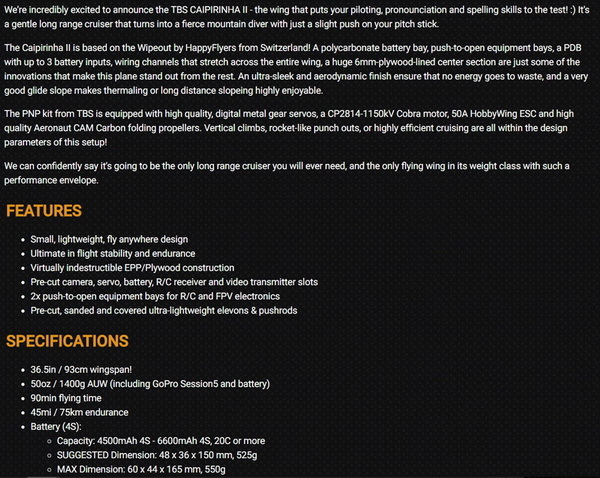 Ready to ship of Windrider new FPV Wings Explorer Bee Basic Kits. 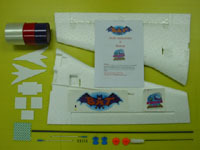 This basic kit not included electronics like power system and servo. 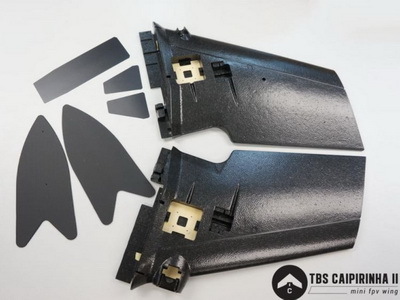 TBS Caipirinha II KIT version. 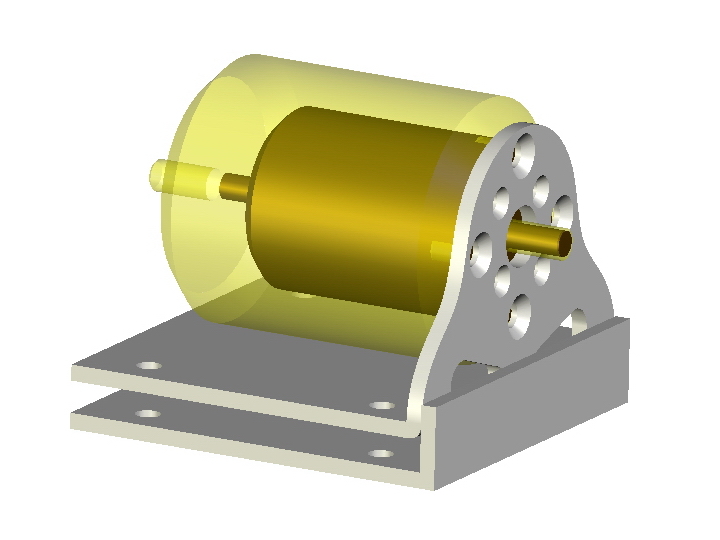 This is a preliminary launch with no manual, promotional fireworks video. 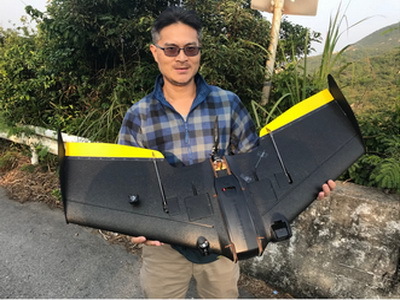 Suggested for wing experts or people willing to google only!The most efficient and smooth long range cruiser the world of FPV has ever seen! TBS Caipirinha II PNP. This is a preliminary launch with no manual, promotional fireworks video. 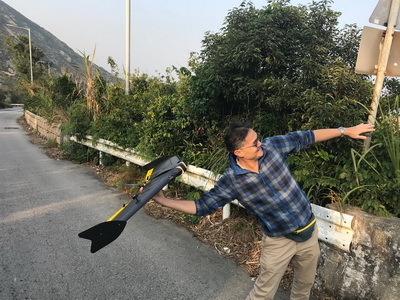 Suggested for wing experts or people willing to google only!The most efficient and smooth long range cruiser the world of FPV has ever seen! 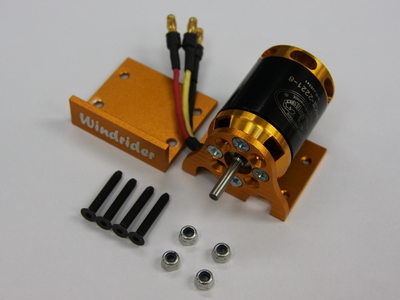 Windrider BL motor mount for Mini Bee and Micro Bee, full aluminum made fit for Hyperion P1913 BL motor. 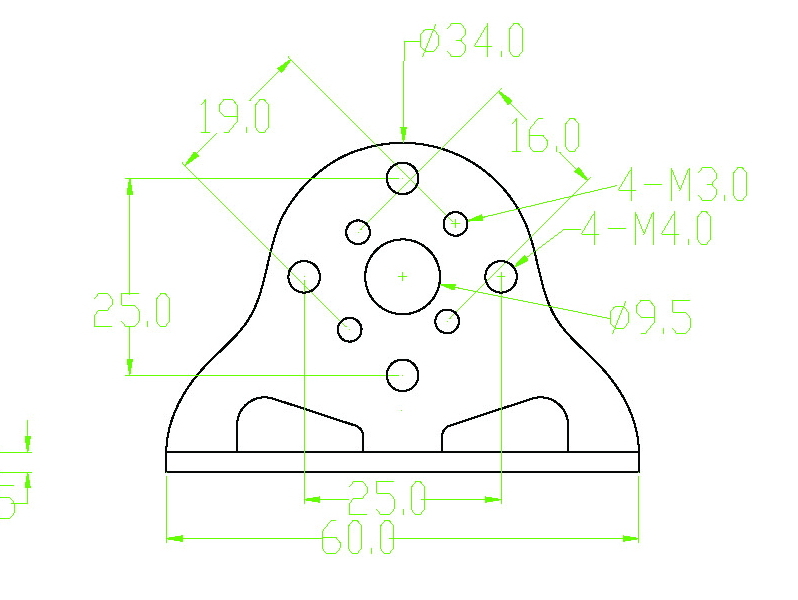 Mount Screw Diameter: M2.5 @ 16mm spacing(S400) AND M3.0 @ 17mm spacing(S300). 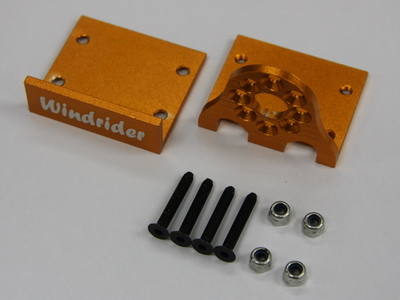 Windrider BL motor mount for Bee2 and Beevolution, full aluminum made fit for Hyperion and Scorpion 22XX-X motor. 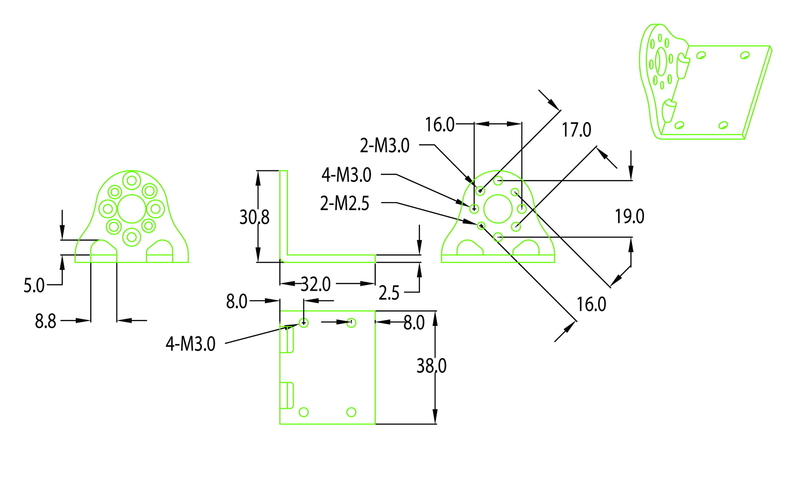 Mount Screw Diameter: M3.0 @ 16mm spacing AND M3.0 @ 19mm spacing or M2.5 @ 16mm spacing(S400) AND M3.0 @ 17mm spacing(S300). 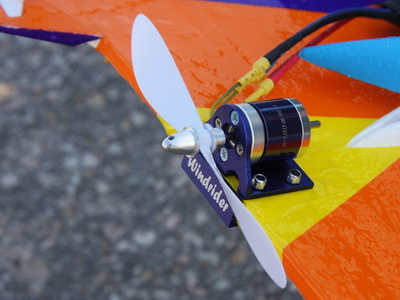 Windrider BL motor mount for Scout Bee, full aluminum CNC made fit for motor bigger than Scorpion 22XX-X motor. 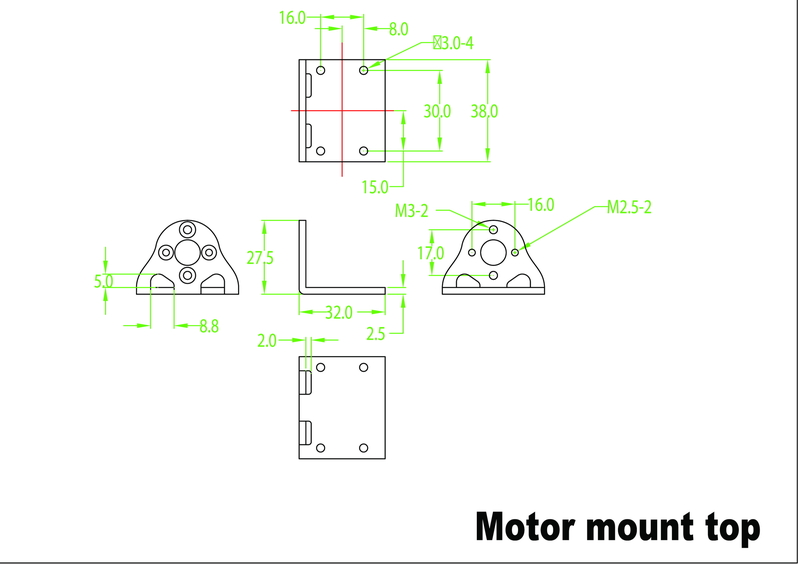 Mount Screw Diameter: M3.0 @ 16mm spacing AND M3.0 @ 19mm spacing OR M4.0 @ 25mm spacing AND M4.0 @ 25mm spacing. 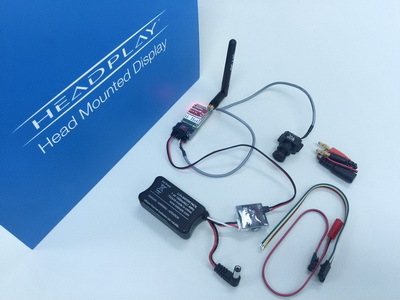 Headplay Fatshark Immersion Slope FPV Combo. 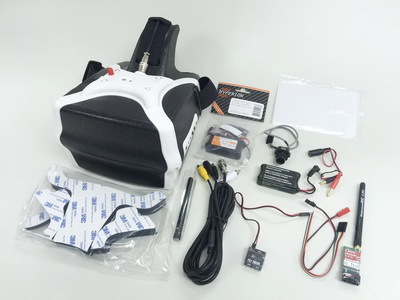 Included Headplay goggle and battery, Fatshark 600TVL camera, 2S VTX battery, 2-4S power adapter, Immersion 600wm VTX. 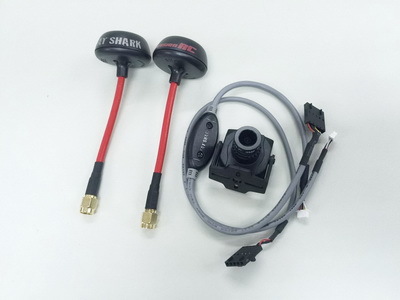 Optional upgrade to Fatshark 900TVL camera and Immersion SpiroNET antenna X 2 pcs.